The Grecian Urn is taken from an early Victorian original that borrowed much from the early Greek era. 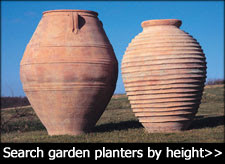 It is made from lightweight and durable fibreglass, suitable for indoor or outdoor use and finished in crisp faux-lead. 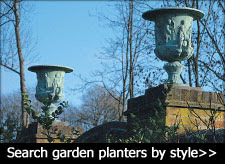 An optional matching pedestal is available to elevate the Grecian Urn (see thumbnail). During the manufacturing process all of the ingredients and colours are included in the original mix so that the colour goes all the way through. 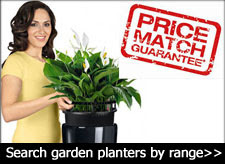 Fibreglass pots and planters are maintenance free and suitable for indoor and outdoor use. 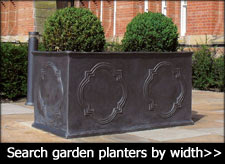 Fibreglass is durable, light-weight, UV resistant and completely frost proof. Cleaning fibreglass is simple, just wipe down with a cloth and soapy water.